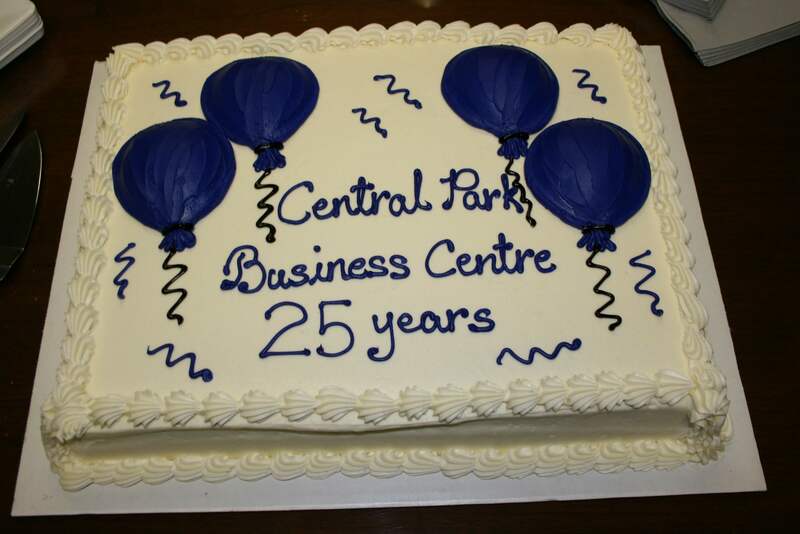 On October 13th Central Park Business Centre threw a party at the company’s office in Boundary Plaza (Boundary Road and Kingsway), to celebrate its 25 years in business. Wow – that’s a quarter century! With helium-filled silver and blue balloons and beautiful floral arrangements, the everyday business environment was instantly transformed into a fun and festive atmosphere. Ample and tasty refreshments, from local restaurants such as Roman’s Italian Restaurant and Minoa’s Greek Taverna, continually flowed from the kitchen and were enjoyed by those who came to share in the celebrations. 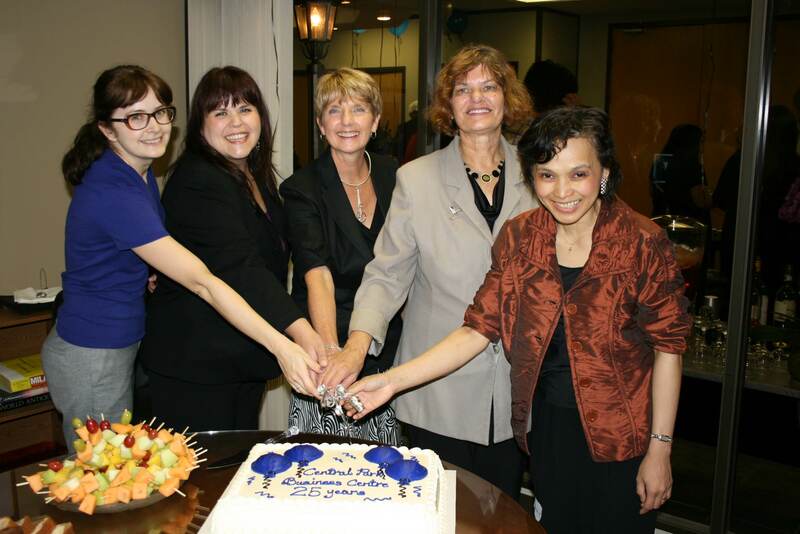 Diana Gray, owner and manager of Central Park Business Centre, a company that provides temporary and full-time office rental and telephone answering support to small businesses, provided a short story of their early beginnings back in 1986, the Expo year. 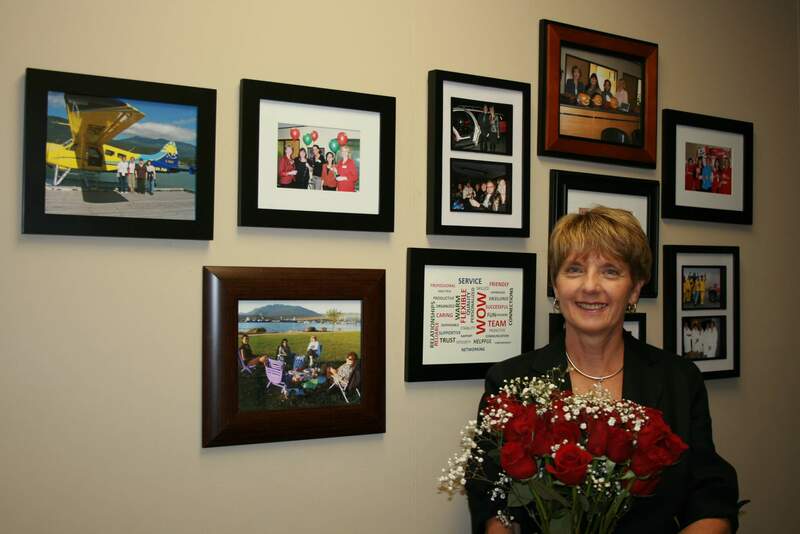 She explained, they started with 16 offices and quickly expanded twice, maxing out with 40 offices within its second year of operation. As we know all too well, technology in the office environment is constantly changing and evolving, and Diana has seen almost constant change in the past 25 years! The company has evolved along with the technology, which has saved her clients from incurring their own capital investment costs. When Diana started the business in 1986, it was before fax machines, voicemail and personal computers. In the early days the business services company offered word processing, hand-written messages and a telex service! Today, of course, the company systems are fully automated, and they offer the latest in telephone messaging technology. This allows them the ability to be a “Virtual Receptionist” for off-site and home-based companies on a full-time basis or just when companies need back-up or emergency service. 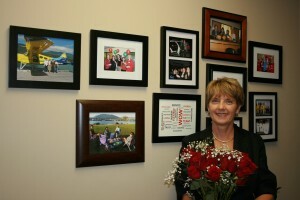 In her presentation to the group, Diana recognized many of her clients whom had been with her for over 20 years. Original staff members from those early days were also in attendance. It was like a large family reunion with lots of warm hugs and sharing of fond memories. 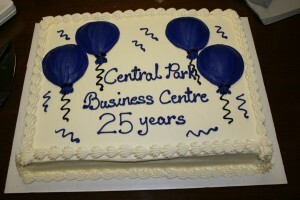 Sharing Central Park Business Centre’s 25th anniversary and in attendance were: Jennifer Gray-Grant of the Collingwood Neighbourhood House, Alex of Minoa’s Taverna, Mary Landell of Landell & Associates (just a couple of years short of 25 years). Diana extended her warm congratulations to these companies as well! Through her time as President of the Collingwood Business Improvement Association, Diana had the opportunity to extend her contacts beyond her business centre to the businesses in the neighbourhood. She said this has opened up a broader circle of friends and business associates that have become a large part of her business. It has also enabled her to promote and refer business to her clients as well as those in the community. 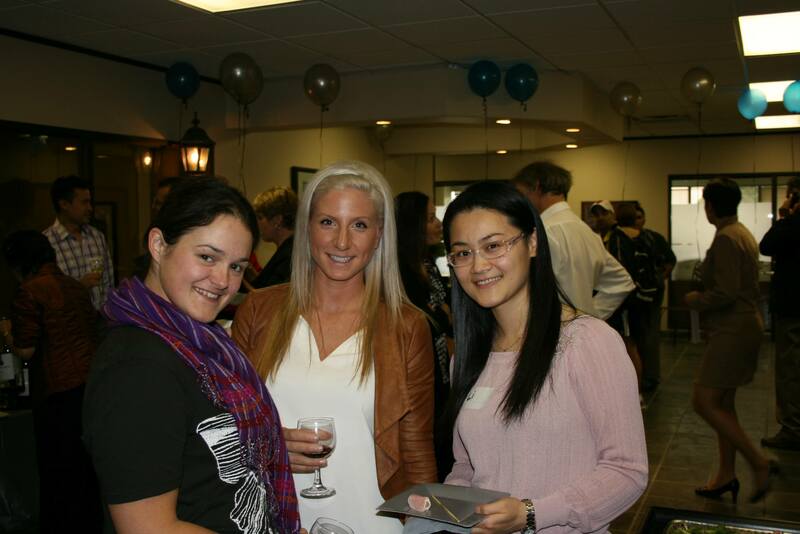 All in all, it was a fun and interactive event with door prizes and networking. To see some fun photos, you can check out the company’s blog at: www.executivesuite.ca.